On October 2, the National Assembly passed amendments to the Elections Bill 2017, triggering criticism from opposition parties that the government had also altered the contents of a clause regarding belief in the finality of Prophethood called the Khatm-e-Nabuwat, which is required to be signed by public office holders. In the edited version of the oath to office, the words “I solemnly swear” were replaced with “I believe”. Further, two sections of a law that deals with the status of the minority Ahmadi community, which was declared non-Muslim through a 1973 Law, were left out in the bill. Soon after, the then Law Minister Zahid Hamid publicly defended the bill stating that there was no intention of repealing laws related to the finality of Prophethood. On October 5, the government agreed to restore the declaration document to its original form admitting that the perceived initial alteration of the contents of the form was the result of “clerical error”. However, on November 8, a collective of hardline Islamist groups, including the TLP, the Tehreek-e-Khatm-e-Nabuwwat, and the Sunni Tehreek, blocked Faizabad Interchange, a key intersection between the twin cities of Islamabad and Rawalpindi, demanding the immediate resignation of the Law Minister. 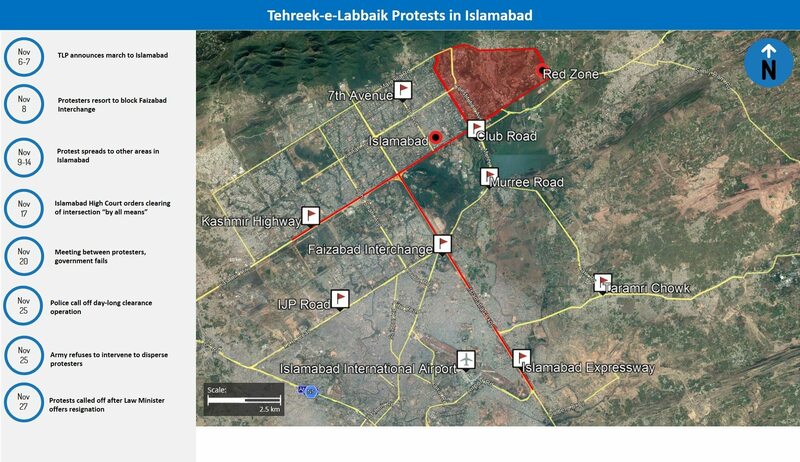 On November 17, the Islamabad High Court (IHC) ordered the national capital administration to clear the intersection by all necessary means, following which the government threatened protesters with the use of force if they failed to disperse by 22:00 (local time). However, the deadline lapsed without any evoking any action from the protesters. Following a failed meeting between protesters and government ministers on November 20, the protesters rejected a government offer to change the portfolio of the Law Minister or send him on leave. Local police launched a day-long clearance operation at Faizabad Interchange on November 25 after the expiry of a new 07:00 deadline, which resulted in the deaths of at least 8 individuals, following which operations were suspended. The crackdown sparked nationwide protests by sympathizer groups, with incidents of unrest also being reported in other cities. Despite being requested by the civil administration, Chief of Army Staff refrained from using force on the protesters, stating that such a move would risk damaging the public’s trust in the institution. On November 27, the federal government submitted to the protesters’ demands by signing an agreement promising the release of all arrested activists as well as security personnel involved in the clearance operation. On the same day, Law Minister Zahid Hamid offered his resignation over the issue ending the standoff. 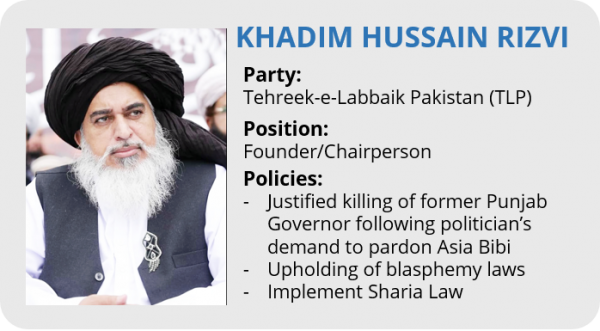 Before the launch of the TLP, party chief Khadim Hussain Rizvi rose to national prominence after leading prolonged protests in early 2016 after the government executed Mumtaz Qadri, a member of the Barelvi Muslim community. Qadri was executed for assassinating the then Punjab Province Governor Salman Taseer over his perceived criticism of the nation’s blasphemy laws, with Rizvi using the case to generate public support through speeches that were often perceived as inflammatory by the government. The leader was able to position himself as an established religious activist favoring strict enforcement of anti-blasphemy, before eventually going on to establish the TLP in 2015. The first election contested by the TLP was the NA-120 by-polls held in September 2017 over the vacant parliamentary seat of the disqualified Prime Minister Nawaz Sharif. The party pledged support for an independent Islamist candidate who went on to secure over 7,000 votes from the constituency, a notable development in that it secured more votes than established parties such as the Jamaat-e-Islami and the Pakistan People’s Party (PPP). The party fielded its own candidate for the first time in the NA-4 by-elections in Peshawar in October 2017, securing over 9,000 votes. Barelvi Muslims comprise the largest Muslim community in Pakistan, with large numbers of people adhering to the traditionally more moderate version of Islam. However, the community is known to adopt radical views on issues such as the blasphemy laws and are known to bear group grievance against the state, due to the allocation of resources to Deobandi Muslim groups that allegedly have close ties to the military establishment. In that aspect, the formation of the TLP serves to address the community’s longstanding concerns, particularly on the topic of blasphemy. The political developments surrounding the extended siege of Faizabad Interchange in Islamabad bring to light the immense political clout wielded by Islamist groups in Pakistan as well as their successful ability to influence policymaking, including at the federal level. The organizers of the November protests were able to force the government to submit to their demands within a three-week period, underscoring their influence. Further, the TLP protest should be viewed in the backdrop of a large number of extended anti-government shut-down protests in the past, most prominent among them being launched by the opposition Pakistan Tehreek-e-Insaf (PTI) party, that have largely failed to achieve their goals. Most prominent among these demands was the resignation of Law Minister Zahid Hamid for his alleged role in the alteration of the Khatm-e-Nabuwwat clause. The protesters’ ability to secure several additional concessions from the administration serves to reiterate the degree of capitulation by the government. This is despite the fact that many of the protest leaders have been on the state’s extremist watch list, largely for their perceived sectarian speeches. This points to the failed implementation of the National Action Plan (NAP), a twenty-point action plan adopted in 2015 to counter militancy and Islamist extremist groups, of which curbing hate speech remains a major aspect. Several factors also played a part in the success of the protests. First, the initial accommodation of the protesters appears to have been due to lack of coordination between the federal and the Punjab provincial government, resulting from internal frictions within the ruling PML-N. The PML-N’s inability to coordinate with the federal government to devise an effective strategy to resolve the issue also remains noteworthy, considering that the same political party is in power at both the provincial and national levels. This lack of coordination could potentially be linked to a larger power struggle within the ruling PML-N over the successor to the former PM Sharif following his disqualification over corruption charges in last July. Despite being eventually pressured into initiating a crackdown by the IHC, the Interior Minister visibly distanced himself from the operation, underscoring larger divisions within the federal government on how to handle the crisis. The second factor is the military’s reluctance to target the Islamist protesters, as the former negotiated an agreement with the protest leaders, despite being significantly more capable to carry out forceful dispersals than the local law enforcement. This approach from the military could be linked to concerns of a wider public backlash from Islamist organizations and sympathetic militant groups. These fears may have been informed by the past precedent, such as the 2007 military operation targeting militants allegedly hiding inside the Lal Masjid Mosque in Islamabad, which led to an overall surge in Islamist militancy in the country. Another factor that could have influenced the military’s decision to remain neutral on the issue may have been the earlier allegations that the current military chief Lt. Gen Qamar Bajwa is a member of the minority Ahmadi community. Therefore, any army-led crackdown on the protest would have been perceived as institutional support for the pro-Ahmadi alterations to the document and could damage the military’s public image. The party successfully managed to capitalize on religious sentiments over the perceived threat of the alteration of the oath, an eventuality that could have had larger implications about the very nature of the Islamic republic. At the same time, the ability of the newly-formed party to coordinate a near-nationwide mass movement against the government, with the protests spreading to more urban centers through its local chapters, underscores its growing support. 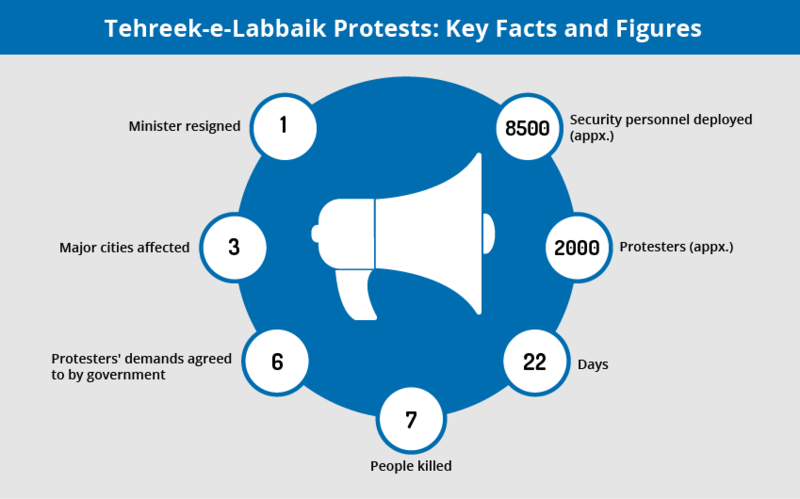 Despite the purported religious motivations of the TLP in spearheading the protests, we assess that the actual objectives of the movement were likely to generate significant political capital through the issue, by appealing to the masses over the government’s alleged disregard for religious doctrine and law. This is made evident through the continuation of the protests despite the retraction of the controversial changes. FORECAST: Based on its current momentum, the TLP is likely to use the government’s eventual submission to their demands in order to project its growing leverage. We assess that the entrance of the TLP into the electoral fray may split the PML-N’s traditional vote bank, particularly if the party continues to appear directionless after former PM Sharif’s absence from politics. Furthermore, the federal government’s decision to initiate a crackdown on the protests is expected to further alienate the religious right from the ruling party, and will likely be exploited by the TLP to expand their membership by drawing this disaffected target group towards their banner. Given that the TLP has fared better than the moderate Jamaat-e-Islami party in the recent two elections it has participated since its recent entrance into politics, the party will likely seek a well-thought-out campaign strategy to pave the way for an improved electoral performance in the general elections. FORECAST: Such a strategy will likely focus on the gaining from the numerical superiority of the Barelvi Muslims in Pakistan, and by effectively capitalizing on the heightened public sentiment surrounding the controversial social issue of blasphemy, particularly in Punjab where sectarian politics remains deeply embedded in society. FORECAST: There also remains the probability that the TLP will be courted by the opposition PTI party ahead of the 2018 general elections, ostensibly over their common opposition to the ruling PML-N, and given that PTI chief Imran Khan has long been seen as a vocal proponent of the “political mainstreaming” of right-wing Islamist organizations. Further, the PML-N is also liable to reach out to the TLP and placate their leaders, eyeing the political benefits of such an alliance. However, such efforts are unlikely to bear dividends as the TLP has seemingly established itself as a party on the basis of a prolonged hostility towards the PML-N.
As a general precaution, avoid demonstrations or large gatherings given the potential for unrest or escalations into violence. 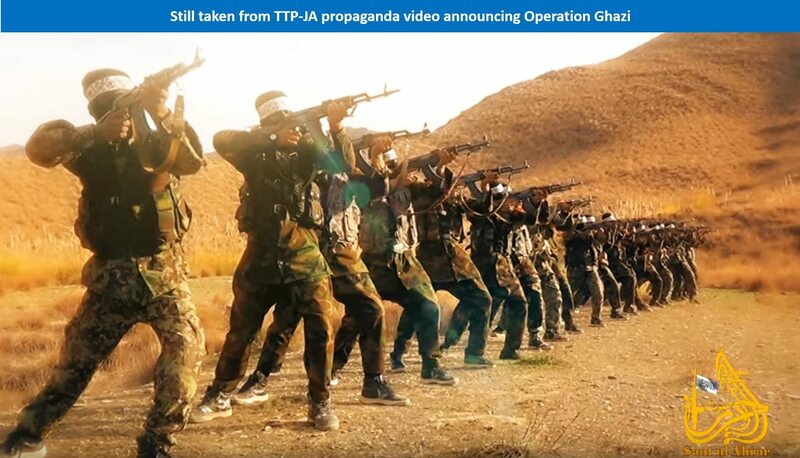 On February 10, an offshoot of the Tehreek-e-Taliban Pakistan (TTP), Jamaat ul Ahrar (TTP-JA), announced by video the commencement of a new militant operation in the country titled “Operation Ghazi”. The TTP-JA defined the operation to be conducted largely against their traditional targets of government and security installations, as well as other symbols of the rule of law, including members of the judiciary. In the weeks that followed, at least 140 people were killed in separate attacks across the country, claimed by a number of different groups. Some of the most high-profile attacks include a suicide bombing in Lahore on February 13, which was later claimed by the TTP-JA; a suicide bombing in Peshawar on February 15, which was claimed by the TTP; a suicide bombing against a Sufi shrine on February 16 that killed upwards of 90 and was claimed by the Islamic State (IS); and a combined suicide and shooting attack that killed seven civilians on February 23 outside of Peshawar, which was also claimed by the TTP-JA. The February 13 and 16 attacks involved individuals walking into crowded areas and detonating explosive vests, whereas the February 15 attacker most likely detonated explosives carried by his motorcycle. 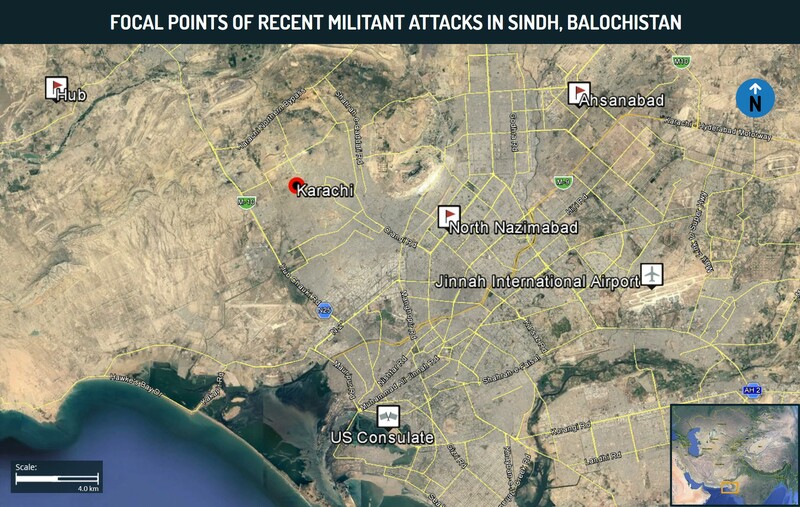 The February 23 attack also involved the individuals using gunfire in an attempt to enter a government building before detonating. In response to the recent wave of attacks, the Pakistan Armed Forces announced the counter-militancy operation Radd-ul-Fassad (“Elimination of Discord”), on February 22. Under the new operation, military and paramilitary forces have authority to “indiscriminately” pursue militant suspects, continue augmenting or assuming functions of local law enforcement and intelligence operations, and expand into the Punjab province. The Pakistan Rangers, who had been conducting extensive operations in Sindh, extended into the Punjab on February 24, in a reversal of local government concerns over giving the military more influence in a ruling Pakistan Muslim League (Nawaz)(PML-N) party stronghold. Whereas the military were previously given limited operational authority in the province in 2016 despite government objections and lengthy negotiations, this new operation was approved relatively quickly by local authorities and grants the Rangers a much wider operational berth in terms of locale and targets. At least 100 suspected militants were reportedly killed by security forces in the first 24 hours of the operations, and hundreds more have been killed or captured to date. The operation has also been under domestic scrutiny by civil society groups, with scattered reports from the ground indicating that political critics and opposition figures have also been arrested, in addition to protests being held by groups alleging mistreatment of ethnic Pashtuns in Punjab under the Radd-ul-Fasaad banner. Pakistan is home to the largest Pashtun community in the world, with an estimated population of 30 out of 200 million in Pakistan. 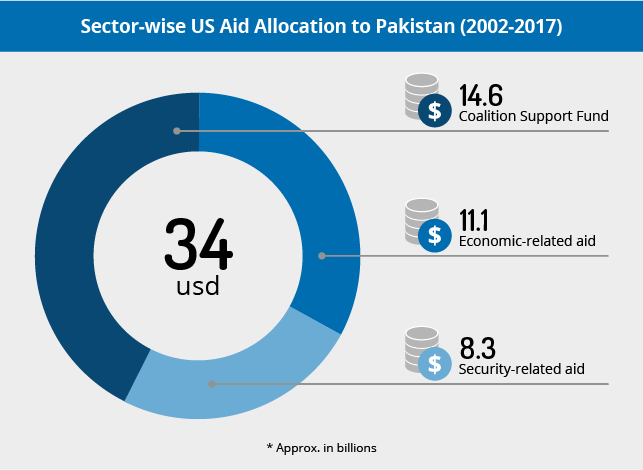 Despite infrequent high-profile outliers, the Pakistani security apparatus views the peripheral Pashtun population with suspicion due to perceived ethnic ties to Afghanistan, a primary regional adversary and well-known militant incubator. Claims and methods of attacks suggest nexus between membership of different militant groups in Pakistan, increased operational capacities. Despite the fact that the abovementioned attacks were subsequently claimed by several groups, the modus operandi and precedence set by attacks before those in February suggest a level of coordination between groups. This is further bolstered by previous assessments of IS using proxies in Pakistan and their lack of a significant operational presence. 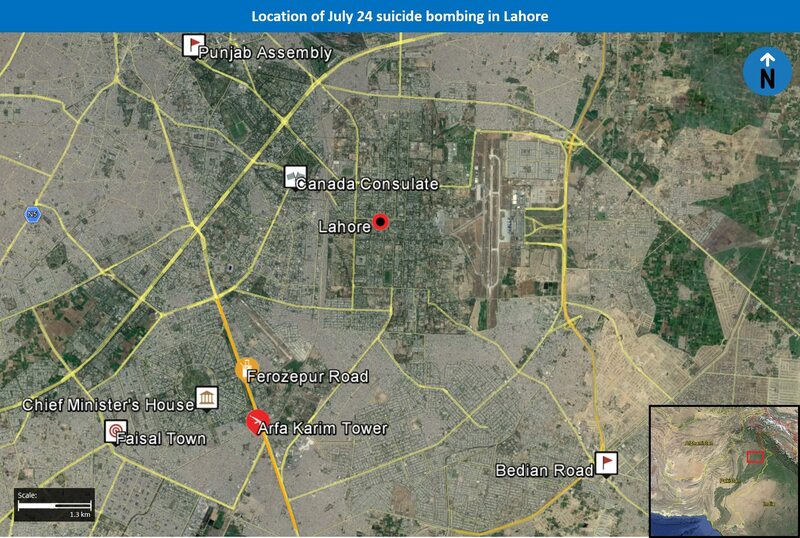 For example, the February 16 suicide bombing that was claimed by IS was likely actually perpetrated by Lashkar-e-Jhangvi Al Alami (LeJ-A), which boasts an established history of similar attacks against religious minority gatherings and places of worship, as well as having previously coordinated with IS over the October 24, 2016, suicide attack on a Quetta police station. Additionally, the August 8, 2016, suicide bombing attack on a hospital in Quetta was eventually claimed by IS and the TTP-JA. High-profile attacks with multiple claims, or singular claims that referenced other groups, were a relatively common phenomenon throughout the second half of 2016. This history of convergence highlights continued operational overlap between these groups in the context of the unusually high rate of use of suicide bombings in February, which require a relatively higher level of operational capacity. Whereas groups have usually relied on less sophisticated methods for attacks involving singular claims, the uptick in the use of suicide bombings across the board for attacks with singular claims suggests that inter-group overlap continues in Pakistan with the onset of Operation Ghazi. FORECAST: Nevertheless, ongoing efforts against organized militant outfits will likely focus on limiting their capacity for such high-casualty attacks, at least in the near future. Consequently, groups such as the TTP are liable to augment current operations with lower intensity methodologies, including targeted sectarian killings in urban areas, or motorcycle-borne gunman ambushes and IED attacks against security forces in the periphery. Such waves of multiple high-casualty attacks, such as that witnessed in February, are normally interceded by relative lulls, which may be marked by more infrequent attacks taking on forms as described above. As previously mentioned, likely targets include police patrols, military checkpoints, protest rallies due to the high civilian presence, and minority institutions and events. Operation Radd-ul-Fassad has expanded the influence of the military, although their efficacy is questionable. While the focus of Radd-ul-Fassad is ostensibly in the tribal border areas where the militant density is thought to be highest, the military has also been able to increase its authority in areas such as Punjab, an area where it normally saw resistance from the PML-N. Furthermore, the military appears to be using Radd-ul-Fassad, at least in part, as a pretext for a crackdown on dissenters and the Pashtun minority, which relates more to longstanding positions held by the military that precede the operation. 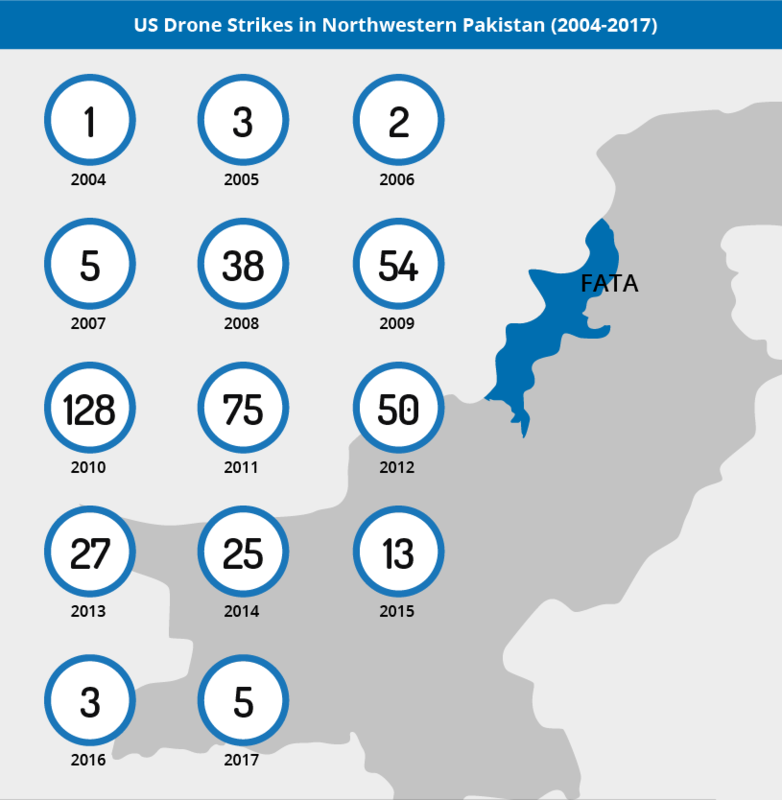 FORECAST: Pushback against the perceived excesses of the operation are likely to result in fresh demonstrations from groups who see themselves as being marginalized, including political opposition groups and Pashtun organizations. Protests of this nature have already materialized in Karachi and can be further expected in tribal provinces with high Pashtun densities such as the Federally Administered Tribal Area (FATA), Khyber Pakhtunkhwa and northern Balochistan, as well as Sindh and Punjab. The high numbers of militant deaths and arrests may lead to a temporary lull in militant attacks and may be used by the military to justify their operations. However, the military’s new nationwide operations are likely not to have a marked effect on long-term militant operations in the country, and may actually serve to exacerbate longstanding political and ethnic tensions, while increasing recruitment to these groups from Pashtun and the Islamist religious demographic. We advise against all nonessential travel to Pakistan given the heightened threat of militant attacks, criminality, kidnappings and sectarian tensions throughout the country. As a general precaution, maintain heightened vigilance in the vicinity of security detachments, government buildings, public areas, diplomatic installations, news stations, military bases, restaurants, high-value soft targets like schools, shopping centers, and religious centers including mosques as they remain potential targets for militant attacks. Finally, foreigners, particularly Westerners, conducting essential travel in Pakistan are additionally advised to maintain a low profile, exercise heightened vigilance, and avoid if possible locales frequented by foreign, particularly Western nationals. 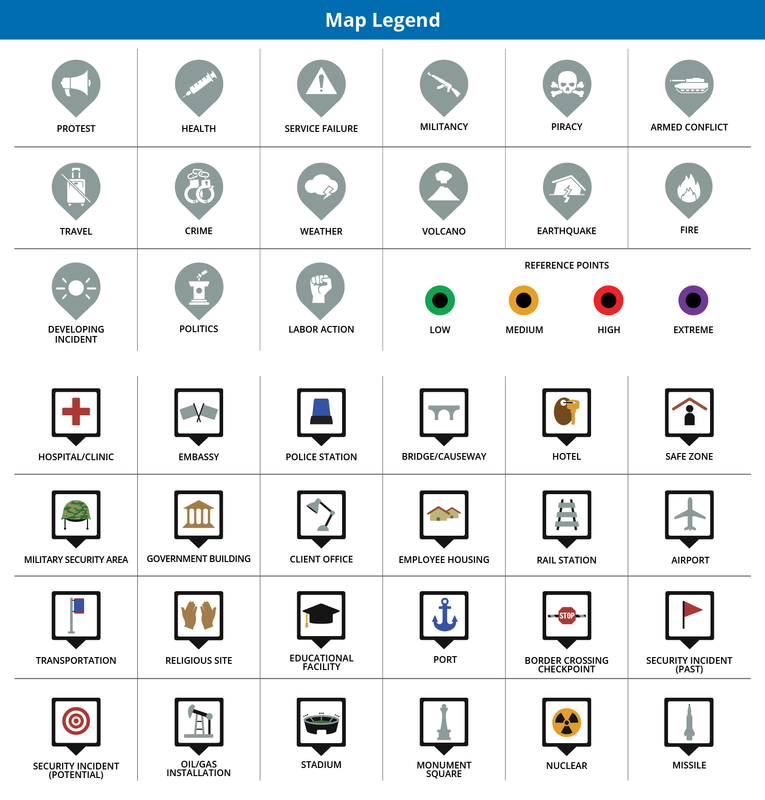 To mitigate the risk of attacks or abductions, ensure that places of stay are equipped with sufficient perimeter security details, alter travel routes, and avoid disclosing sensitive itinerary information to unknown individuals.